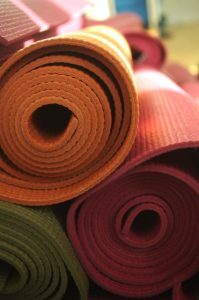 This Hatha & Vinyasa Yoga class combines creative flow with a focus on specific postures and parts of the body. We synchronise breath with movement, build up strength, flexibility and finely tune our external and internal alignment. The class is for mixed ability but a certain level of physical fitness is advisable. It is a class in which you can choose to take it relatively easy or work up to stronger challenges, depending on how you feel on the day.